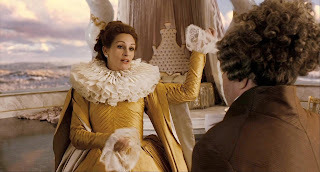 A fantasy drama comedy aimed at a family audience, Mirror Mirror enjoys a unique, over-the-top fairy tale aesthetic and an enchanting Julia Roberts performance. Snow White (Lily Collins) is the beautiful daughter of the kindly King (Sean Bean), a popular and benevolent leader. Unfortunately he disappears while riding through the forest, and his devious wife Queen Clementianna (Julia Roberts), who is also the narrator, takes over as ruler of the land. A vain woman obsessed with her beauty, Clementianna confines Snow White to one room and a darkness descends onto the land. Prince Andrew Alcott (Armie Hammer) of Valencia tangles with the seven dwarves while riding through the forest and is rescued by Snow White, who is on an unsanctioned trip outside the palace. Clementianna sets her eyes on the handsome prince as marriage material, and arranges for her assistant Brighton (Nathan Lane) to kill Snow White. But Brighton does not have the heart to do so, Snow White takes refuge with the dwarves, and starts to plot her return to power. Directed by Tarsem Singh, Mirror Mirror is an irreverent take on the Brothers Grimm Snow White story. Tangentially side-swiping the legend from the perspective of the evil Queen, here the dwarves are dirtier and edgier, they fight on stilts and teach Snow White battle tactics, and a power-hungry and lustful love triangle features mother-in-law and daughter. While the plot does tilt more towards adult themes than children's fare, Singh entertains younger eyes with outlandish sets and ridiculous costumes. 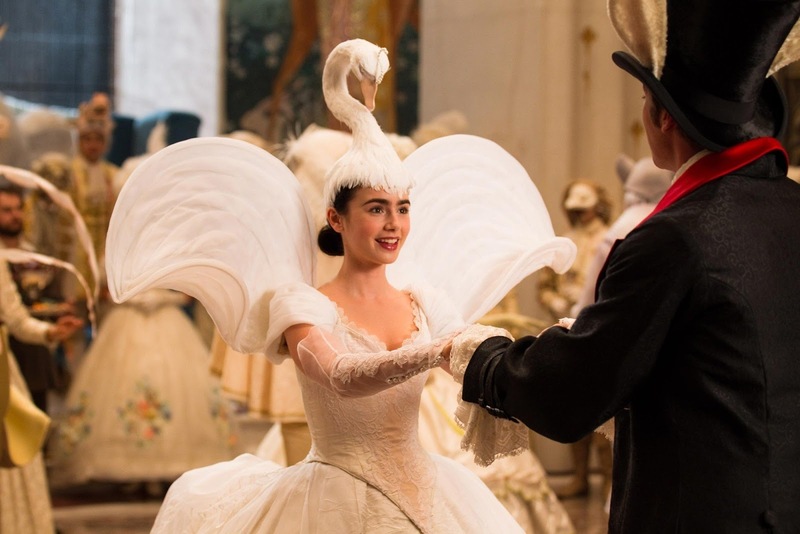 Despite a limited number of locations and what appears to be a confined and theatrical milieu, Mirror Mirror pops with colour, oversized hats, and inventive set design. The basics of the story may be well known, but the presentation is highly imaginative. As the eyes absorbs all the fantastical aesthetics, Roberts entertains the ear with snarky narration. Her take on the Queen is unapologetically manipulative, a satirical extrapolation of a culture obsessed with looks, fame, power and little else. By design, this is mostly the Queen's story, but Snow White is provided with some feminist steel in the second half of the film, choosing a warrior's costume, standing up to her rights, and going toe to toe in forest fights as she fights to win back her land and claim her man. Lily Collins does well in the role, infusing it with quiet confidence. Mirror Mirror is a reimagining of a popular fairy tale; all the elements are familiar, but the warped reflection is reasonably enjoyable in its weirdness. Julia Roberts was mildly amusing in this film, but mirror mirror didn't shake things up for me. & I'd take her as Tinkerbell in Hook over Queen Clementianna, any day.